Are you a self-employed designer? A design agency account manager? Or do you run a small design agency? 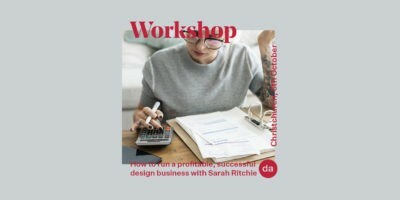 You’ll know that maintaining great client relationships is just as important as producing great design work to guarantee financial success—but working with clients and ensuring your work remains profitable can be two of the biggest challenges you’ll face. In this fully-interactive workshop, we’ll hit the issues head-on and tackle the tough questions that you want to ask. The power is in your hands! - How to handle a reactive and unpredictable work environment. It’s up to you! Send in your burning questions with your registration and we will answer as many as possible during the workshop. About the facilitator: Sarah has walked in your shoes! She has spent 25 years in design and advertising account management, which included 10 years running her own, successful graphic design business. These days Sarah works for 3rdeye Consulting and specialises in supporting account managers and strengthening agencies. She is also the author of the brand new book “How to Wrestle an Octopus: an agency account manager’s guide to pretty much everything” — soon to be published.